Bronchitis is an inflammation of the mucous membrane lining the bronchi and bronchial tube within the chest. Bronchitis is a breathing disorder affecting the expiatory function.Bronchitis may be acute or chronic. The chief cause of bronchitis is wrong feeding habits.The habitual use of refined foods such as white sugar, refined cereals, nd white flour products results in the accumulation of morbid matter in the system and collection of toxic waste in the bronchial tube. Another important cause of this disease is smoking. Excessive smoking irritates the bronchial tubes and lowers their resistance so that they become vulnerable to germs reached in form the atmosphere. Other causes of bronchitis are living or working in stuffy atmospheres, use of drugs to suppress earlier diseases and hereditary factors. Changes in weather and environment are common factors for the onset of the disease. Ayurveda calls this disease Kasroga and considers it to be caused by poor digestion. Poor diet, poor digestion and incomplete elimination of wastes lead to the formation of ama (toxins) in the lungs. It creates a favorable ground for the growth of infecting organisms in the bronchial area. Stress, poor lifestyle, bad circulation, and lack of rejuvenating measures can deteriorate the body’s immune response to invading organisms in the bronchial area. 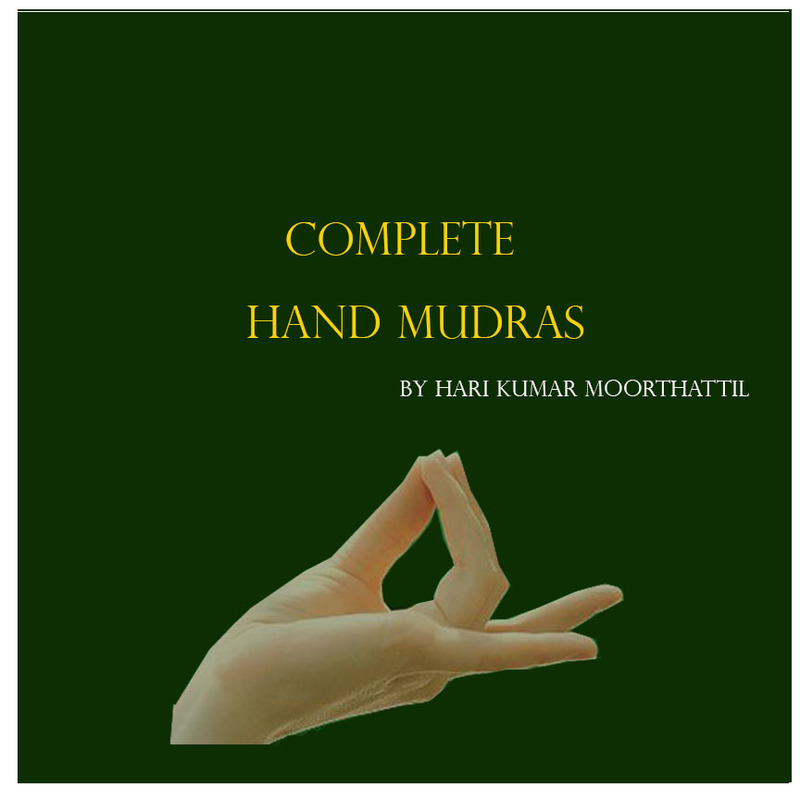 Mudra treatment aims to expel the toxins out and strengthens the immunity. According to Ayurveda causes for bronchitis are aggravated Vata blocks the Kapha in the respiratory channels, the movement of the air gets interrupted, and phlegm accumulates in the lung tissue. To expel the phalgum, there is a natural action of coughing, which results in Bronchitis. This can be attributed to many reasons like inhalation of smoke and dust, physical exertion, intake of foods and drinks that have a drying effect on the body, and the obstruction of the trachea by food particles. Another cause is suppressing the natural urges of the body, such as passing stool and urine, hunger, thirst, sleep, sneezing, breathing, yawning, tears, coughing, etc. There is only one mudra for bronchitis, Prithvi vardhak mudra is very much useful in this condition. Daily 30 to 35 minutes of practice is enough to get good results. To know more about Prithvi mudra click here. Yoga asanas like sarvanga asana,uttan tadasana, Bhujanga Asana are very much useful to handle bronchitis. You may practice any of these yoga asanas and mudras to over come bronchitis. Click on the links to know more about yoga asanas. Avoid contact with scented candles, air fresheners, etc. To add moisture in the air, use humidifier. Rinse your hands and face frequently, especially during “cold and flu” season. The antiviral, as well as antibacterial properties of honey, are considered useful to treat bronchitis. Add one teaspoon of honey in a regular cup of tea. Add a half teaspoon of honey with a pinch of black pepper, fresh ginger paste and 1-2 clove powder. Consume this paste to ward off burning sensation. To reduce throat inflammation and congestion, add a few drops of lemon in warm water. Add one teaspoon honey to it and drink it after stirring well. Slice an onion in a plate or bowl and cover it with honey. Leave it overnight. Now, remove onion slices and take one teaspoon of honey four times a day to get instant relief. In order to lessen the soreness and deep coughing, oregano oil can be used as a natural treatment. A person suffering from bronchitis has to put a few drops of oregano oil under his or her tongue. Use this remedy once a day to cure a severe cough or uneasy breath. Salt water hcancut through the mucous which is causing irritation in the sensitive bronchial membranes. It also soothes the irritated throat. Add some salt in warm water and stir it well. Now, gargle with this warm salt water 3-4 times a day. Note: It is crucial to add the right quantity of salt in warm water, as excess salt can result in burning sensation in the throat. On the other hand, too less salt will not work effectively. The immune building and anti-inflammatory properties of ginger not only help to treat cold but also sore and inflamed bronchial tubes. Prepare a mixture by adding one teaspoon each of pepper, ginger powder, and cloves. Add a little amount of this mixture with milk or honey and have it thrice a day to get relief. Prepare a powder of ground ginger, cloves, and cinnamon. Add a half teaspoon of this mixture in a glass of hot water. Drink the mixture after stirring it well. To get relief, try this remedy for a few days. For instant relief, you can also prepare herbal tea. For this, you need to add one teaspoon each of black pepper and ginger powder in a cup of boiling water. Allow it to steep for a few minutes. After some time, add honey to it and stir well. Drink this herbal tea two times a day. Orange is rich in vitamin C. It is suggested to consume plenty of vitamin C to build strong immune system. To treat bronchitis, fruit juices are the best home remedies. Orange juice not only provides nutrients and vitamins, but also soothes the inflamed throat. Orange juice can also be used with almonds to alleviate a a sore throat. Finely crush a half teaspoon of fresh almonds and add it in orange juice. Drink this at night. To get relief in a cough associated with bronchitis, turmeric is the best natural remedy. The anti-inflammatory properties of turmeric pull out the excess mucus, which ultimately provides relief. For this, you are supposed to add one teaspoon of turmeric powder in a glass of milk. Stir it well and boil for some time. Drink the hot mixture twice or thrice a day. For effective results, try having this in an empty stomach. Note: People suffering from stomach ulcers, gallbladder stones, obstructive jaundice, hyperactivity, etc. should not try this remedy. Garlic is one of the natural home remedies to treat acute bronchitis. The antiviral and antibiotic properties of garlic cure bronchitis very easily. You need to take three fresh garlic cloves. Peel and chop them properly. Add the chopped pieces in a glass of milk. Boil the milk for some time and drink it warm before going to sleep. Eucalyptus oil is very effective treatment for bronchitis. Use it in steam therapy to soften the mucus. The antibacterial properties of the oil heal burning sensation and inflamed throat. Add a few drops of eucalyptus oil in boiling water. Then, cover your head with a towel and breathe in the steam. You can also use tea tree oil or pine oil also, in place of eucalyptus oil. Alternatively, eucalyptus oil can be applied on the chest directly. This will aid proper functioning of respiratory system and also drive out the excess mucus. To get relief in the symptoms of Bronchitis, especially acute bronchitis, Epsom salt bath is very effective. Add 1½ kg of Epsom salt in warm bath water. Immerse yourself for half an hour in the water just before going to bed every night, if you are suffering from acute bronchitis. If you are experiencing chronic bronchitis, do it two times a day. The antibacterial and antiviral properties of onion soothe inflammation and soreness of throat. The person suffering from bronchitis simply has to intake one teaspoon of raw onion juice on an empty stomach every morning. You can also have raw onion in salad or use onion while cooking. Sesame seeds possess medicinal properties that effectively treat bronchitis. It relieves chest pain. For healing the symptoms of bronchitis, mix one teaspoon each of linseed, sesame seeds, and honey. Add a little quantity of common salt. Combine this mixture properly and consume it daily before sleeping. Sesame seeds can also be used with plain water. Mix half teaspoon of dry sesame seeds powder in two tablespoons of water and consume it daily. Since lemon is rich in citrus properties, it helps one get rid of bronchitis. Boil a cup of water and great a teaspoon of lemon rind in it. Steep it for a few minutes. You can also boil a lemon wedge. Strain the water in a cup and drink it. To treat sore throat, add one teaspoon of lemon juice in a cup of warm water. Stir it well and gargle with it. It is very necessary to keep your body hydrated when you suffer from bronchitis. It is recommended to have at least ten glasses of water daily. You can also have vegetable and fruit juices. Alternatively, add a little quantity of honey and a few drops of lemon in a glass of water. Stir this mixture well and drink it early morning. Note: Avoid drinking alcohol or caffeine that leads to loss of fluids and makes the mucus tougher to be extracted. One of the natural remedies to get rid of bronchitis is hot toddy. To prepare hot toddy, boil some water. Place a tea bag in it. Let it steep for 5-10 minutes. Add a pinch of cinnamon powder, honey, and alcohol to it. Stir the mixture well and drink it to soothe your burning throat. There are several spices that help cure bronchitis. Add dry mustard and flour in a ratio of 1:4. Stir it well adding sufficient water to make a runny paste. Apply some olive oil on chest. Now, spread mustard mix on a clean muslin or washcloth. Apply it on the chest. Ensure that the paste is not too hot; otherwise, it may burn your skin. Place it until it gets cool. Keep a check, if the plaster causes discomfort. Spinach is also one of the effective remedies for this ailment. Add small amount of spinach (fresh) in a glass of water. Add ½ tablespoon honey to it and drink it. Bay leaf is one the simplest herbal cures for bronchitis. It can be taken as a tea. To prepare the tea, heat a cup of water till it starts boiling. Take a fresh bay leaf and put it in boiling water. Let it steep for a few minutes. Another option is to soak bay leaves in hot water. Apply it as poultice on chest. Cover the chest with a towel. Rewarm it whenever it cools down. To get rid of mucous, and strengthen the lungs, thyme is one of the best herbs with antibacterial properties. It can be used as seasoning. You can also prepare tea by adding half teaspoon thyme in a cup of boiling water. Steep it for 5 minutes. Add some honey to it for sweetening. Thyme oil can also be very effective if used in diluted form. Dilute it by adding olive oil (the ratio of olive oil and thyme oil should be 2:1). Rub the mix on chest to treat congestion. Savory is a peppery herb that is used to get rid of mucus. Get a cup of boiled water. Add half teaspoon of savory to it. Drink it every day to heal bronchitis. Chew leaves of holy basil to keep lung infection at bay. Licorice tea is a therapeutic remedy for an inflamed throat. Add licorice roots in the boiling water. Steep it for a few minutes. Drink 1-2 cups daily. Its anti-inflammatory, antibacterial and antiviral properties reduce swelling resulted due to bronchitis. Several essential oils like tea tree, lavender, anise, rosemary, peppermint, cypress and eucalyptus oils are a wonderful home cure for bronchitis. Take one teaspoon carrier oil (jojoba, almond, etc.) and add 2-3 drops of Anise essential oil to it. Massage your throat and chest with this oil and put a warm towel on the affected area. An herbal chest rub can also be prepared by mixing ten drops each of rosemary oil, thyme, peppermint and eucalyptus oil. Add ¼ cup of olive oil to it. Gently massage it on the chest and throat. Respiratory tract diseases are diseases that affect the air passages, including the nasal passages, the bronchi, and the lungs. They range from acute infections, such as pneumonia and bronchitis, to chronic conditions such as asthma and chronic obstructive pulmonary disease.Respiratory disorders will lead to many health hazards and discomfort. Nothing to worry here is a simple recipe that will relieve Asthma, Bronchitis, and Tuberculosis. Mint is a useful remedy for respiratory disorders like tuberculosis, asthma, and bronchitis. Take a teaspoon of fresh mint juice. Take two teaspoons of pure malt vinegar. Take two teaspoons of honey. Take 120 ml of carrot. Mix all these well, Have this mixture thrice a day to get relief from respiratory disorders. It liquefies the sputum, nourishes the lungs, increases body resistance against infection and prevents harmful effects of anti-tubercular drugs. It also prevents asthmatic attacks and reduces congestion in air passages. Bronchitis is a breathing disorder affecting the expiratory function. In the cases of acute bronchitis it is better that you juice fast for few days. treatment is take the juice of an orange in a glass of warm water every two hours from 7 am to 7 pm. After the juice fast you should fast for all fruit diet for two to three days. If your case is chronic then a seven days all fruit diet and taking each day fresh juice fruits three times. After the fruit diet you should maintain a well balanced diet of seeds, nuts and grains, vegetables and fruits. Drinking of unsalted lemon or hot water is beneficial. You should avoid meats, sugar, tea, coffee, condiments, pickles, refined and processed foods, soft drinks, candies, ice-creams and products made from sugar and white flour.